A classic lunchbox for those 21 years of age or older! 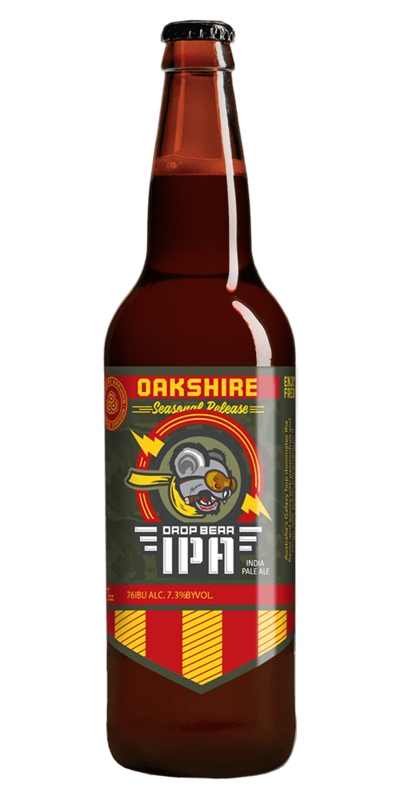 Featuring Amber Ale, Citrafonix IPA, Lagerbier, and Overcast Espresso Stout. A bold backbone of five different malts combine with a touch of hop bitterness to create an impeccably balanced ale- the quintessential Amber. 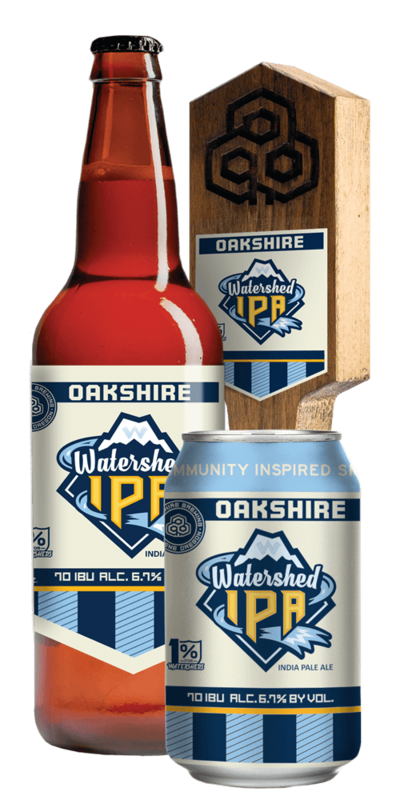 Presenting hop aroma and flavor of fresh grapefruit and resinous pine, Watershed IPA strikes a balance between bitter and sweet, finishing crisp and clean. 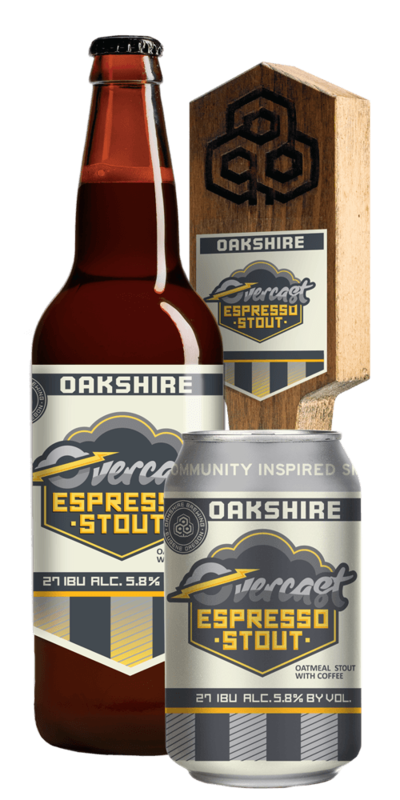 Overcast skies inspired a dark and smooth oatmeal stout blended with cold brewed coffee, offering a full palate of roasted malts, chocolate and espresso. Inspired by Europe’s Pilsners, our Lagerbier uses only the finest malts and noble hops to create an aromatic, full-bodied and balanced lager. 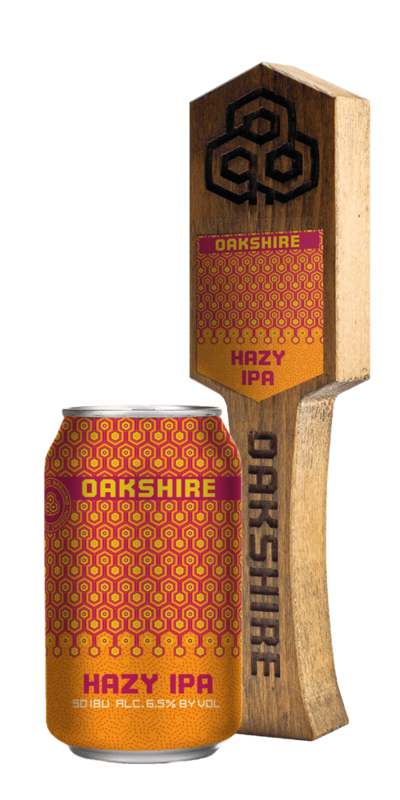 Hazy IPA brewed with malted white wheat and rolled oats then hopped with a proprietary blend of our favorite Northwest hops. Pillow soft on the palate, perfectly bitter and extremely refreshing. 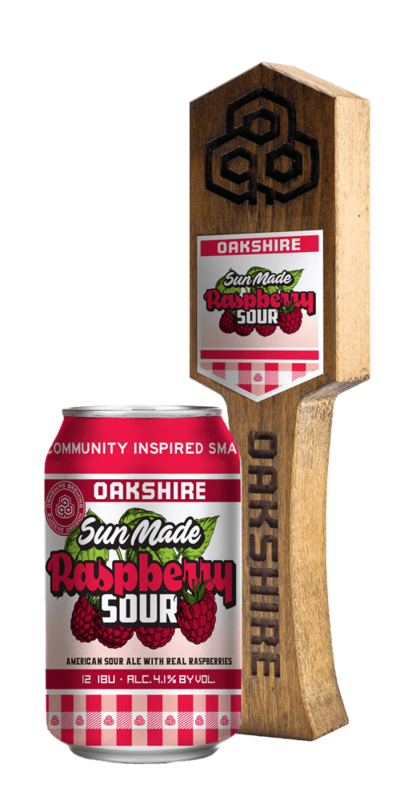 Sun Made Raspberry marries traditional Berliner Weisse tartness with real raspberries for a bright, fresh flavor with a crisp, clean finish. With a juicy melon hop aroma yielding to bright honeydew flavor, Sun Made Cucumber is quenching, tart and uniquely inspired – just like you! 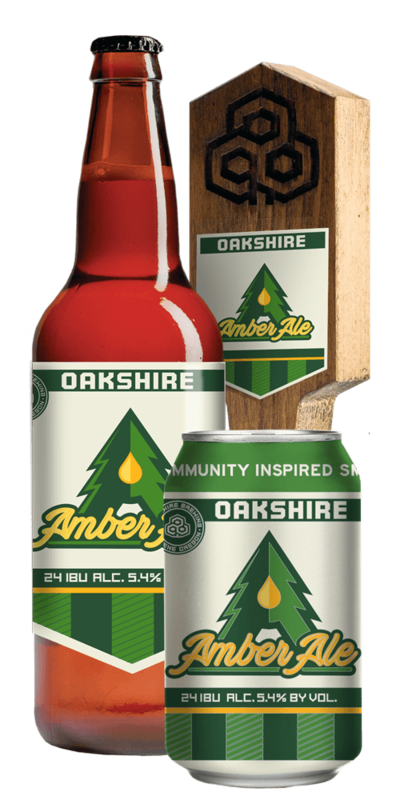 This American Brown Ale is an Oakshire original. 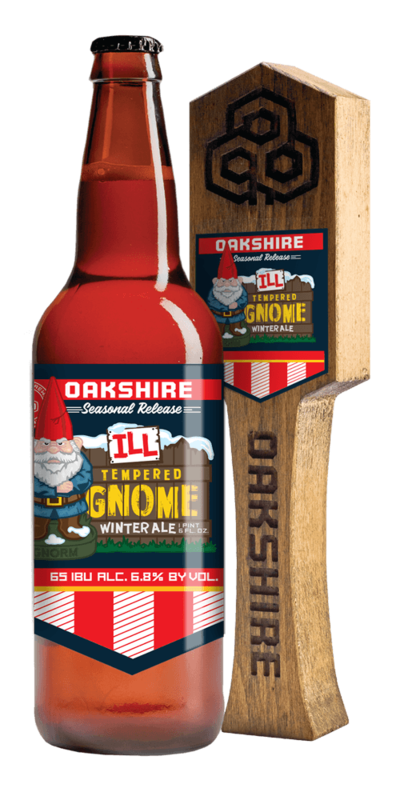 Dark malts combine with resinous hops in the Winter Ale to soothe your ill tempered gnome. 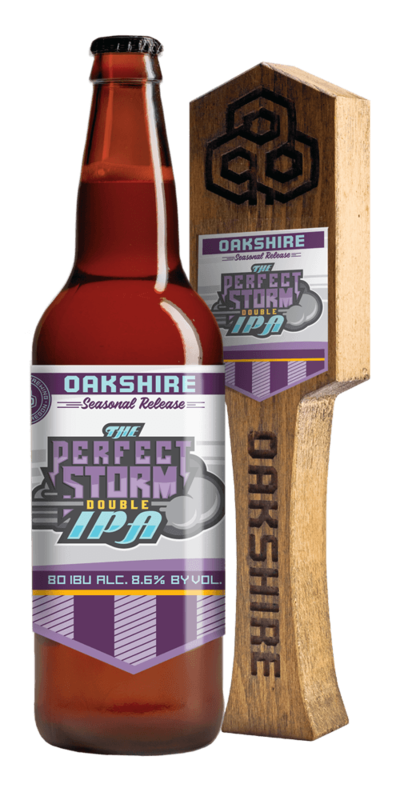 Wildly aromatic, our Double IPA crashes over your palate with intense waves and generous amounts of our favorite PNW hops. 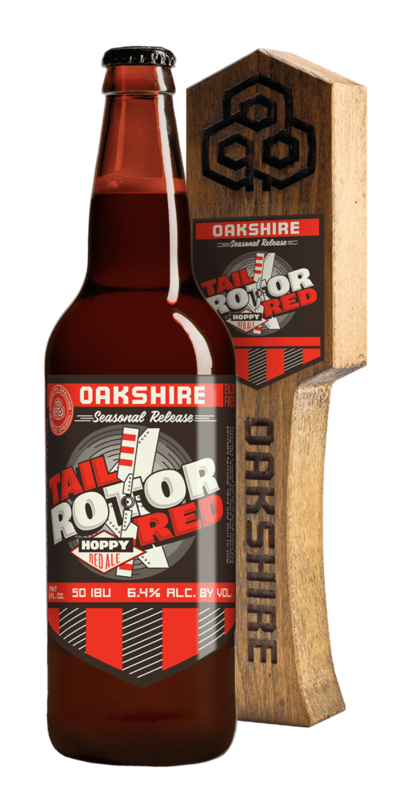 Tail Rotor Red helps guide us- with its crisp malt body, distinctly balanced bitterness and piney fruit aroma- on our palates trajectory towards the extraordinary! 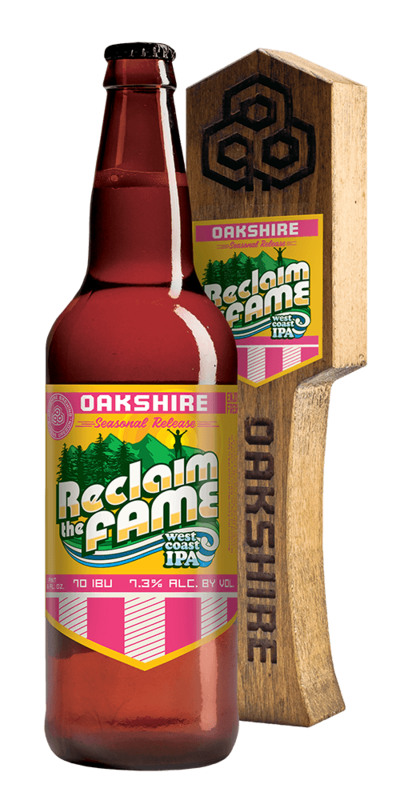 Reclaim the Fame West Coast IPA, with bursting aromas of tropical fruit and pine resin, an even balanced bitterness, and drying finish, reminds us why we fell in love with IPA in the first place. Translated to “Giant Thunderclap at Dawn;” Ledumahadi mafube is pummeled with massive amounts of Mosaic, Citra, Galaxy and Moutere hops. Our take on the St. Patrick’s Day classic. Roasty, dry and crushable. Perfect for March drinking. Hazy IPA brewed with a boatload of our favorite hops and conditioned on passion fruit, orange and guave (POG) puree and whole vanilla beans. Inspired by one of our favorite childhood drinks, this sour ale is conditioned on tangerine puree and orange juice and glows neon green! Traditional German style session ale perfect for the summer weather. 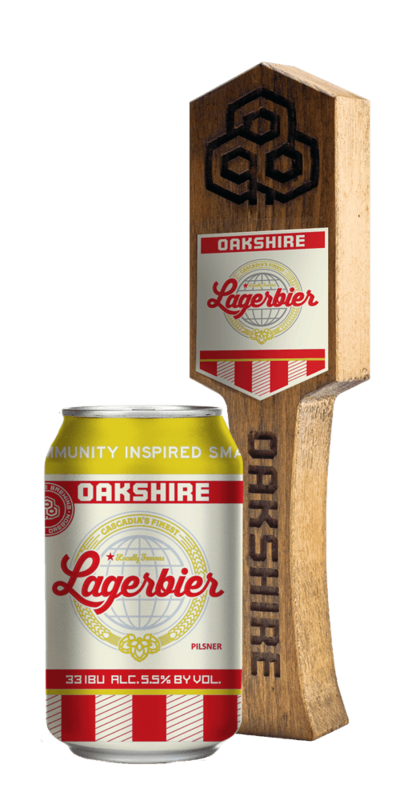 German-style Helles Lager brewed with smoked Oregon Spruce Tips. Hopped in the kettle with fresh Amarillo hops from Woodburn’s Crosby Hop Farm and dry-hopped with Amarillo from the previous crop year. 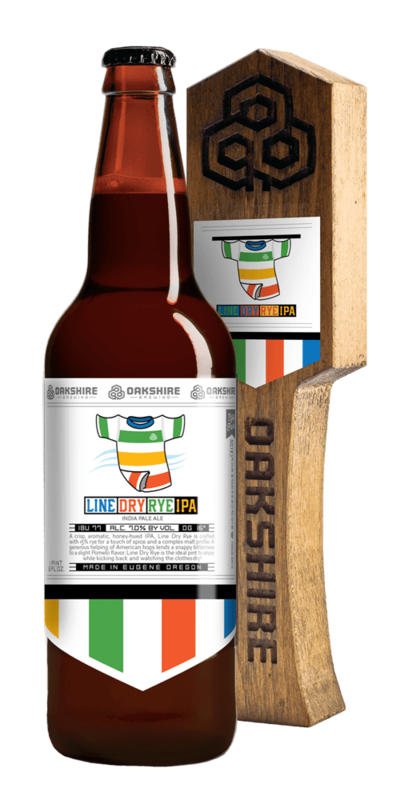 American Pale Ale brewed with malted and flaked rye, Northwest grown hops and locally sourced honey. 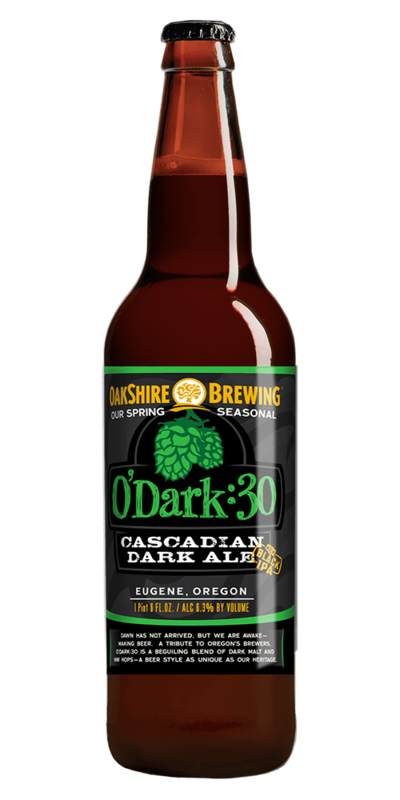 Cascadian Dark Ale or Black IPA. 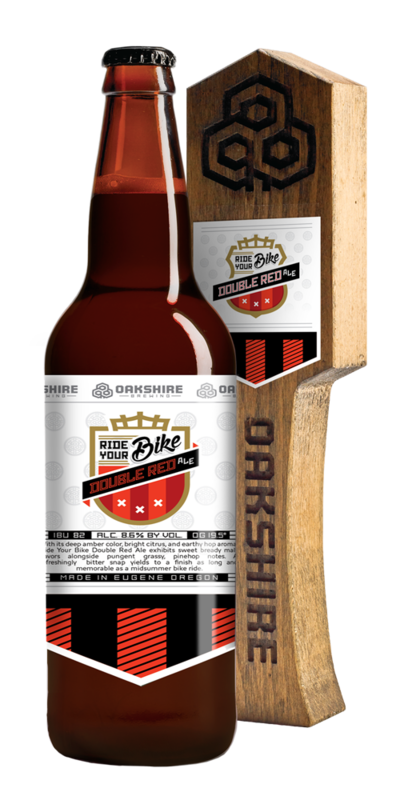 Brewed with American grown malted barley, debittered dark malts and Northwest hops for a piney and citrus fruit notes. 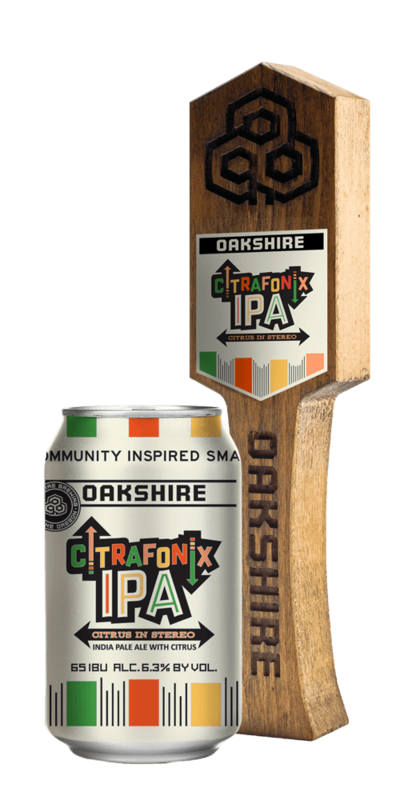 Brewed with 7 hops, 7 malts, to 7% ABV and 77 IBU this NW IPA was out of this world!